Professor Yulong Ding, Chamberlain Chair of Energy Storage and Director of the Birmingham Centre for Energy Storage at the University of Birmingham, discusses the ‘global energy trilemma’ and the race to find innovative solutions to radically transform how energy is supplied and used, and to make future systems more efficient and reliable. Liquid air energy storage (LAES) is an emerging technology that has the potential to drive the development of variable renewable energy sources, such as wind and solar power, due to its ability to convert excess/off-peak electricity into multi megawatts of stored energy. The off-peak, renewable electricity is used to compress and liquefy ambient air, which is then stored in tanks at the cryogenic temperature of -196C, where it can be kept for extended periods of time without significant losses. When energy is required – at peak times – the stored liquid air is drawn from the tanks, pumped to high pressure and heated, expanding by more than 700 times in the process, and used to drive a turbine to generate electricity. LAES has already been commercialised, by Highview Power Storage, the UK-based developer of large-scale long duration LAES systems. I’m confident it is the way forward in addressing the world’s energy challenges. My work is about addressing the energy trilemma challenges facing the world today. My part in this is to use science to develop energy storage technologies, in particular heat and cold energy storage. My work has been and is still focused on the efficient conversion, storage and utilisation of heat and cold. 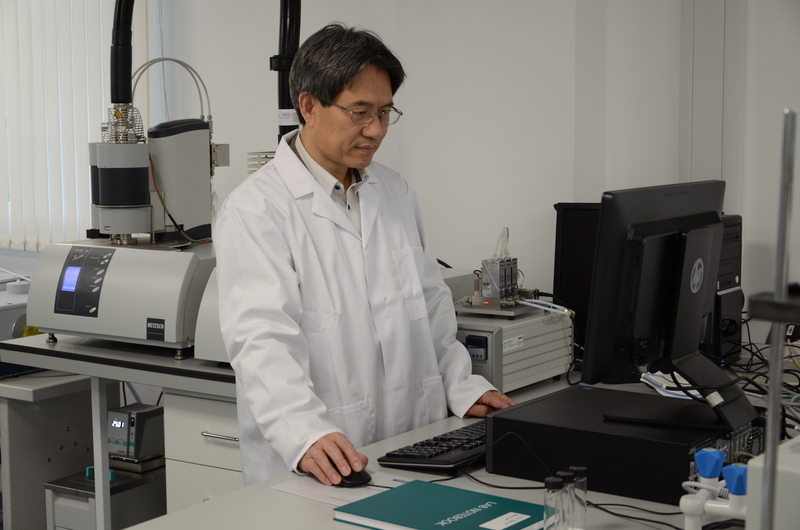 We develop novel formulations and associated advanced manufacturing technologies for micro-structured composite materials, new thermodynamic cycles and processes, and integration and optimisation methods for efficient heat and cold energy harvesting and storage. The Birmingham Centre for Cryogenic Energy Storage (BCCES), the world’s first research centre for cryogenic energy storage, was set up with the aid of a £12.3m EPSRC grant. 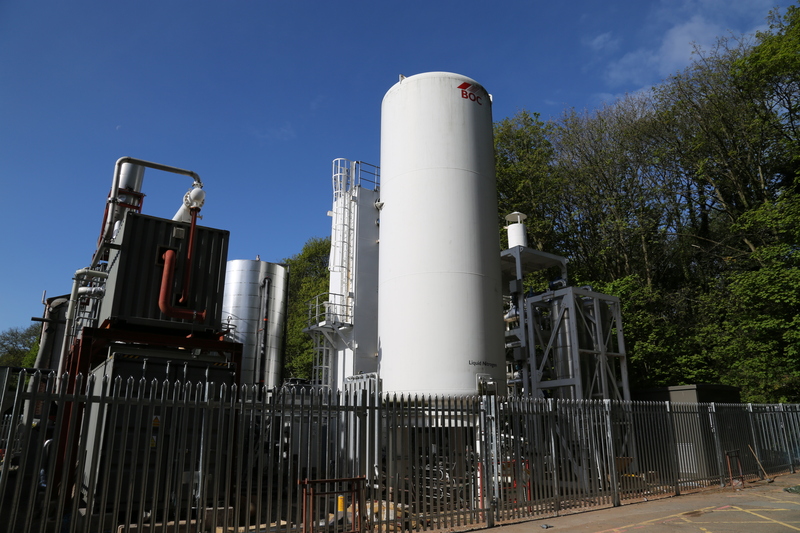 To support my work, Highview relocated its 350kW/2.5MWh LAES pilot plant to Birmingham. The energy challenges the world faces include not only the mismatch in energy supply and demand and the need to cut carbon emissions, but also the amount of industrial heat waste. LAES can significantly improve the efficiency of diesel generators, routinely used as reserve capacity for the National Grid. LAES can integrate waste heat or cold from industrial processes to increase the system’s overall efficiency to more than 70 per cent. Waste is a key issue and by addressing it, we can enhance efficiency. Our power stations only use about 50 per cent of their capacity, because they are designed and built to deal with peak demand (for electricity), and peak demand only occurs at a certain period. By using off-peak energy, we reduce the need for the building of more power plants, thereby saving a lot of money and allowing the power plants we already have to work a lot more efficiently. When I began my research in energy 30 years ago, initially as a Thermophysicist, it wasn’t as popular – we were ahead of our time, although we didn’t realise it. Initially it was curiosity-driven, with some sort of idea of application, but the problem wasn’t as severe as it is now. Storing energy is not particularly new; in the past few decades, people have been focusing on batteries, which are useful, but very little emphasis has been placed on hidden cold storage, which turns out to be more important. My work solves more than one energy problem. The technologies we have developed actually address the trilemma of affordability, clean energy and security; in other words, we are killing many birds with one stone. 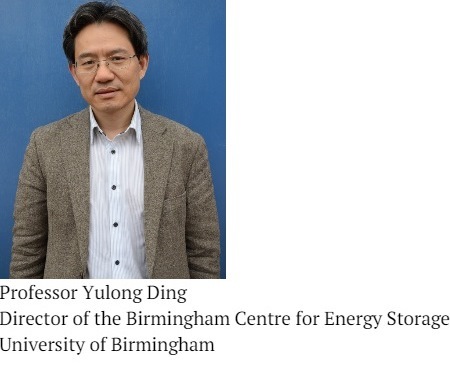 Tags: Birmingham Energy Institute, Cryogenic storage, energy storage, EPSRC, LAES, Liquid air energy storage, Professor Yulong Ding, University of Birmingham. Bookmark the permalink.